It has been ages since my last post…so what have I been up to? Last year I completed the RTRFM radio training course and now I’m one of the volunteer radio DJ’s at the station (1 of 200!) doing a few overnight shows a month. You may have heard me on Snooze Button at 4-6am in the mornings or probably not because who is up at that early in the morning? I’m still a newbie and doing the hard yards, but there is a lot of comfort and freedom when you’re doing the graveyard shifts, I get to play whatever I want! Supporting community radio! 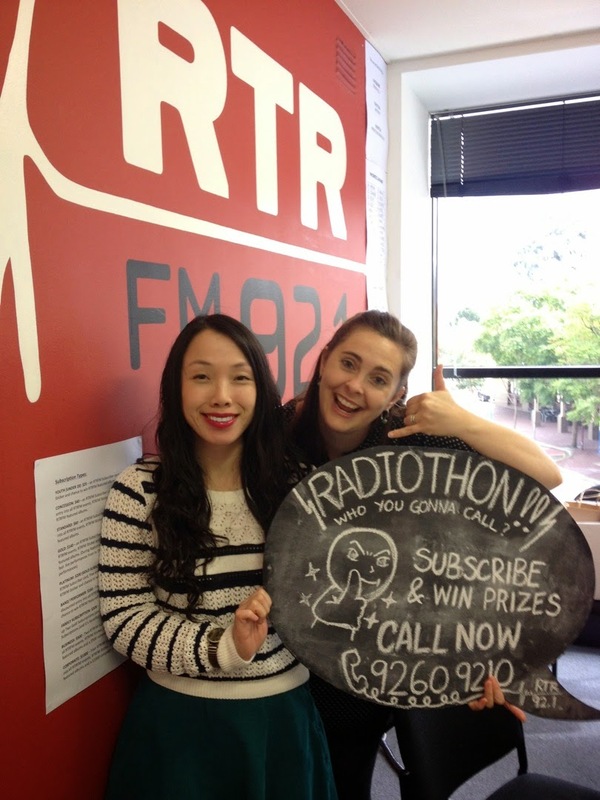 Photo from last year's RTRFM Radiothon which will be coming up again soon in August! 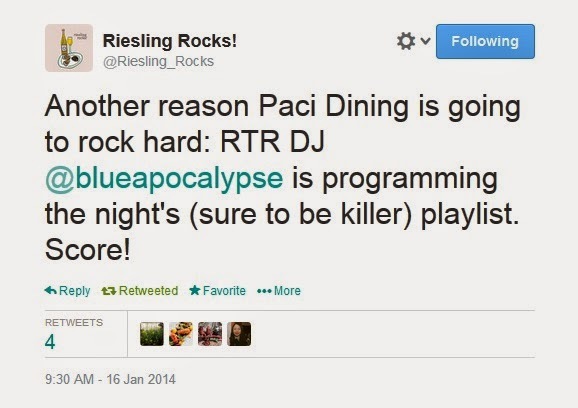 Another music and food thing that happened this year was been asked to put together a playlist for the Riesling Rocks February dinner, which had Pasi Petanen of Café Paci from Sydney teaming up with Co-Op Dining's Kiren Mainwaring to cook a special 11-course dinner using seasonal produce and matched with a diverse range of WA rieslings. I thought a lot about what would be appropriate for the fine dining table but also reflect what I like listening to. The soundtrack that I came up with to accompany the symphony of a degustation was an entirely instrumental mix of tunes from 50 artists ranging from jazz, electronica and indie to post-rock, providing some sweet soundscapes to an amazing meal. This dessert of carrot, yoghurt and liquorice by Pasi was really something else at Riesling Rocks. Check out the photos Chris took of Riesling Rocks, the food was exceptional and well worth the $180 per person with matched wines, especially with an interstate chef collaboration which I hope there will be more of and I look forward to the next one. I paid for my meal and was not paid for my DJ duties except with gratitude and trust. Trust in that I didn’t just put together a playlist of post-metal tunes ;) Although I did two mixes – one for the duration of the dinner and a pre-service mix of heavier tunes for the kitchen to get through prep! But what has kept me really busy for the first part of this year was organising a whole event on my own – Perth’s first food truck festival, Food Truck Rumble, over 10 weeks on a very small budget. I had never done anything like this before so it was a huge learning curve, I basically gave myself a crash course in event management by doing one! Lots of people came down and it was great to see so much support for the food truck scene in Perth but the crowds were much bigger than anticipated which led to huge queues and some food trucks selling out of food. For a first event, a lot was achieved but not without some issues, and I’m looking forward to using all the feedback I’ve received to make Rumble v2.0 bigger and better. 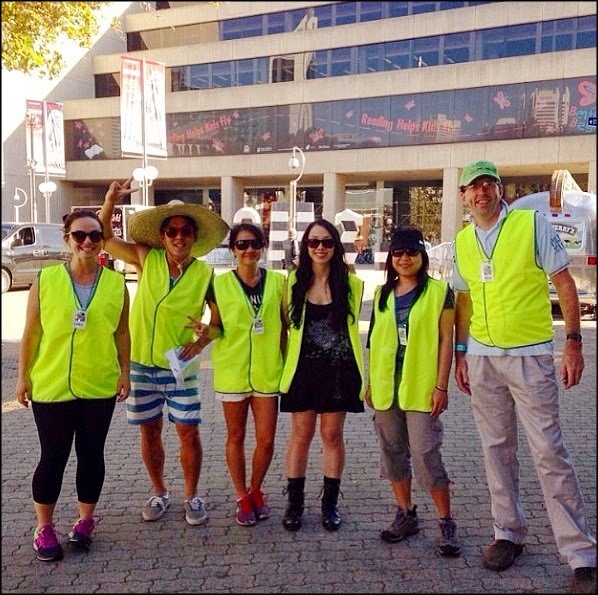 The wonderful Food Truck Rumble volunteer bump in crew! After Food Truck Rumble, I was finally able to start planning my trip to Japan that I had booked last December! In a few days I will be heading to Japan. There is so much to eat and do, and I don’t know how I will fit everything in but I’m gonna try. It will be the first time that I’ll be travelling alone too, well I will be visiting some Japanese friends in Tokyo and Osaka, and then heading down south on my own to Kinosaki, Hiroshima, Fukuoka and Nagasaki. If you have any tips for Japan, let me know in the comments :) I’m interested in the food of course but I also want to immerse myself in the local music scene, and visit records stores and live houses. This recipe that I want to share combines the two things that occupy me right now - Japan and Fermentation. I am a part of a Pickle Club with some wonderful ladies and pickles are fast becoming an addiction. Gochujang and red chilli powder – holy heat yes! Pork belly – double check! Bonito flakes and seaweed – take me to umami heaven! Heat wok or frying pan with 2 tablespoons of vegetable oil, add slices of pork belly and fry until they slightly brown. Add garlic, shallots, kimchi and kimchi juice and fry for 3-4 minutes. Then add the seasonings – gochujang, red chilli powder, light soy sauce, sugar, sesame oil, salt and pepper to taste. NB: With the seasonings I always add in 1 teaspoon at a time and taste before adding ½ teaspoon or more until I get my desired taste, so please adjust to your liking. Especially since you are using kimchi, as it ages its flavour profile will change through fermentation as it ripens and becomes more sour, so every time you cook this dish it might taste a little different depending on your kimchi and seasonings. While the pork and kimchi is cooking – prepare the udon noodles. Remove from the noodles from the packet, unravel onto a plate and microwave for 1 minute to warm through or blanch quickly in hot water and drain thoroughly. Add in 2-3 tablespoons of water, the udon noodles, and fry everything together for a few minutes to combine and heat the noodles through. Add in the spring onion and toss through the noodles. Serve the stir fried pork and kimchi yaki udon noodles topped with kewpie mayonnaise, bonito flakes and shredded seaweed. See you in a few weeks. If you want to follow my Japan adventures, check my Facebook, Twitter or Instagram, that’s if I can figure out how to be connected when I’ve over there… or maybe I’ll just get lost.